The Welsh Terrier is known for their intelligence and friendly attitude, they are energetic, outgoing and are a real champion. This wonderful and stylish breed does not possess that much energy as other terriers have, but are very good for their size. This breed of dogs does very well in homes and with children and older people. They are very friendly and love to play and participate in family sessions. The Welsh terrier is a strong, intelligent and brave breed, they do well with other animals and are a good choice to use as a house pet, As this breed belongs to the terrier family, they have some attributes, they can be used as a watchdog and as a guard dog. This dog breed has a single coat which is short, dense, hard and wiry. The coat should be close and abundant on this breed. This breed of dogs is a good learner, they learn quickly. Training should be done with fairness and patience, they will not respond to hard and harsh methods of training. They require a gentle handler who can handle them as a professional. 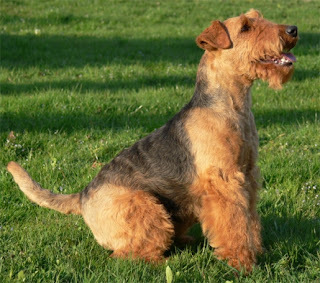 The Welsh Terrier is a high energetic breed and needs regular exercise. They are okay in apartments if they are provided sufficient exercise. However a small yard is best for them. This dogs breed requires at least weekly brushing to remove dirt and dead hair, bath should be given when mandatory. This breed of dog suffers from some health issues and dog diseases that are breed specific, they are prone to eye problems and skin irritation. This dog breed has a life cycle of about 10-12 years. It is essential that any symptoms should be treated at the earliest to maintain the well being of your dog.